We think you can tell when a place has been hospitable for hundreds of years. The Parlour is one of those places. It is believed to be the oldest public bar in Newtownards. Previously known as the Old Cross Inn, it was built in 1735. Nearly 300 years later, Jim and Dawn took over the premises. It opened under the new name The Parlour in 2012. 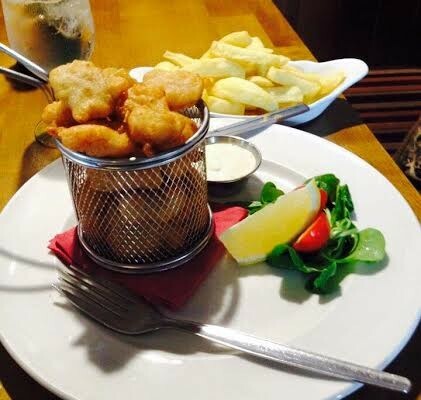 They do great pub grub made with locally sourced ingredients. The area around the Ards Peninsula has a particularly full larder. Superb meat, fish and vegetables are a stone’s throw away, not to mention the delicious Glastry Farm ice-creams and sorbets that are made near Kircubbin. They’re all on the menu here. Sunday lunch is really popular as are their regular Wednesday Steak Nights, but twice a week won’t be enough once you eat here. You’ll want to try the 2 course special for £10 and everything else that comes out of the kitchen.